Our children’s programs fill up fast! For the best chance at registering for your favorite classes, be sure to register during lottery registration, March 28th-April 3. After this date, enrollment will be only as space is available. Registration is online or in person at the library registration desk. Please visit http://www.pawlingfreelibrary.org/children/programs/ for more information. Should you have any difficulty registering, please contact us at 845-855-3444 or children@pawlinglibrary.org. under-rated book genre known as Kid Lit. 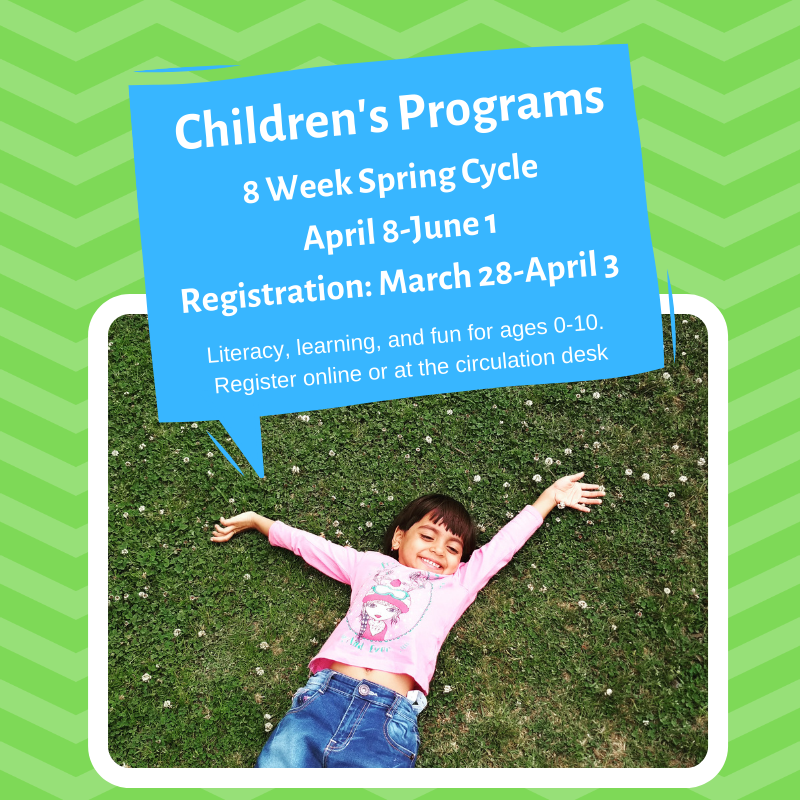 April 8th is the first day of our Spring Children’s Programs season, which runs 8 weeks, until June 1st. More details will be added to our website and calendar by Thursday, March 28th, so mark your calendars and remember to check back that day to register! Contact Children’s Programming Coordinator, Neena McBaer, at children@pawlinglibrary.org or 845-855-3444 for more information. The book club will be discussing The Edge of Winter, by Luanne Rice. Hands on science learning, with an artistic twist. We’ll experiment with paper circuit cards and the library’s newest STEAM resource, Squishy Circuits’ electric dough! Stop in after the town egg hunt for a sweet treat! In the style of the hit Kid’s Baking Championship, participants will overcome goofy challenges and daunting obstacles to create the most beautiful cupcakes imaginable. Who will be crowned the Kid’s Cupcake Champion? Please contact Children’s Programming Coordinator Neena McBaer at children@pawlinglibrary.org for more information.